50% polyester/25% combed ring-spun cotton/25% rayon, 32 singles 4.3 ounce tri-blend jersey t-shirt. 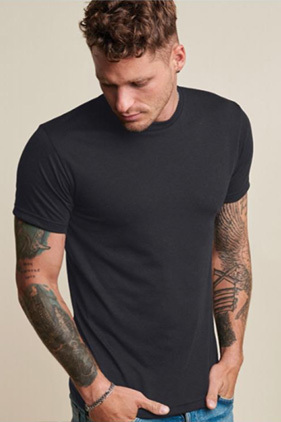 Tri-blend fabric provides superior fit and comfort. Side seamed. 1x1 tri-blend baby rib set-in collar. Heathered colors with a vintage look. Satin label.